Sometimes I’m just too tired to go out for dinner after a long day at work or don’t have time to whip something up for lunch and that’s when food delivery services are truly God-sent. However as fast food is not exactly the most healthy food, I try to limit the times I order McD, KFC or Dominos as much as possible. 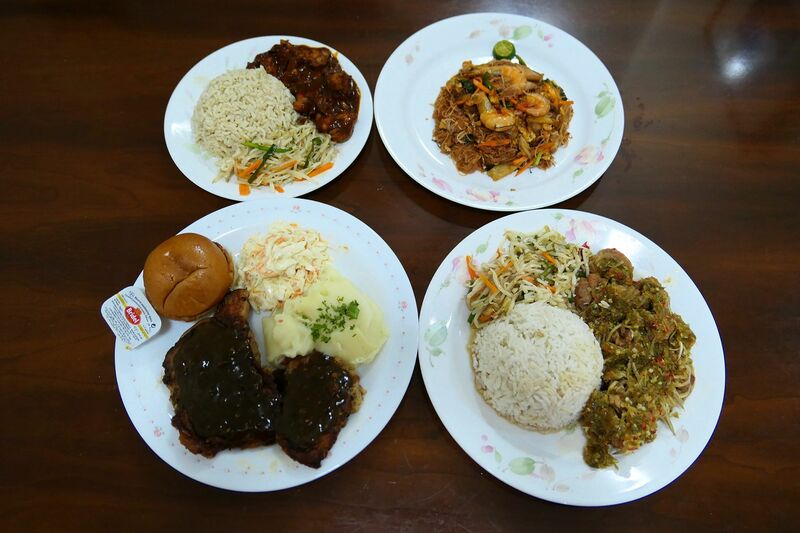 I was Googling for non-fast food delivery services when I came across mammam.com.my which delivers to my area in Petaling Jaya and pretty much from Ampang to Selayang and even as far as Shah Alam! Just select your area and your preferred cuisine and you’ll be given a list of options. 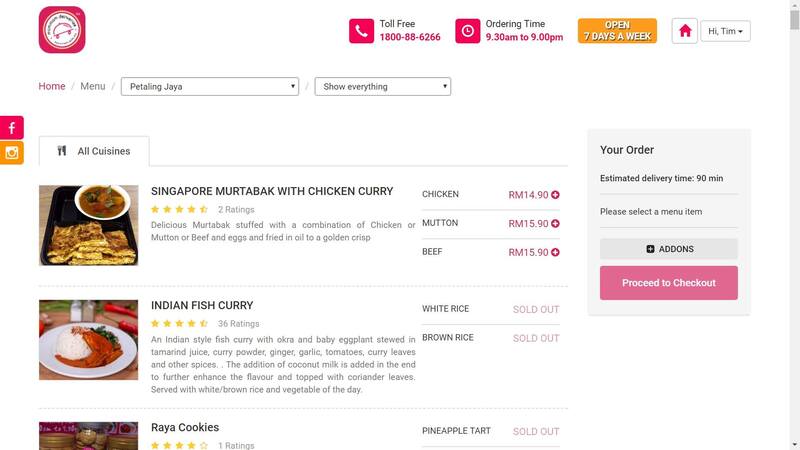 Of course, if you’re ordering later in the day, some of the more popular dishes might be sold out. So I put in my order and proceeded to the payment options which are cash, credit card and online banking. The credit card and online banking facility is provided by Paypal which ensures safe and secure transactions. Barely an hour later (sometimes it can take up to 90 or 120 minutes depending on your distance from their central kitchen in Sunway) and my food arrived. So here’s what I’ve tried from mammam.com.my so far. 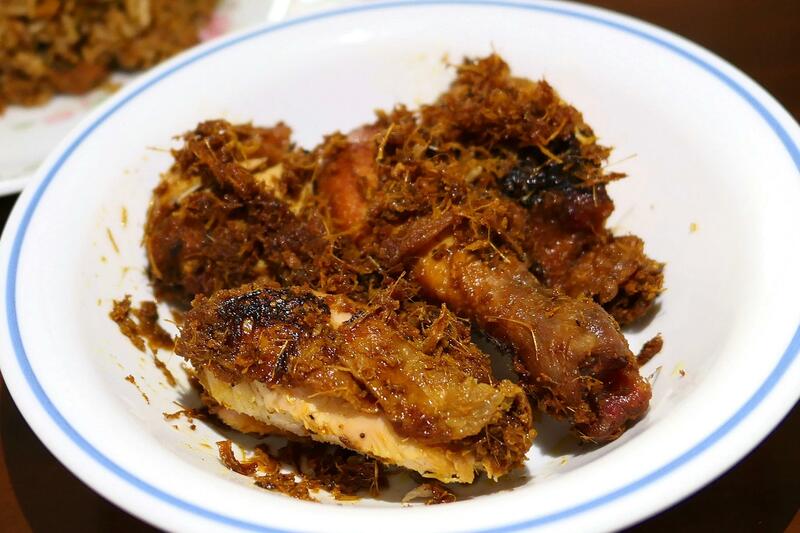 Yes this was somewhat unusual but the flavours of nasi lemak were there… albeit rather combined together. A modern interpretation of a classic dish that worked out pretty well. An Indian style fish curry with okra and baby eggplant stewed in tamarind juice, curry powder, ginger, garlic, tomatoes, curry leaves and other spices. . The addition of coconut milk is added in the end to further enhance the flavour and topped with coriander leaves. Served with white/brown rice and vegetable of the day. The curry was really flavourful and provided enough of a kick to satisfy my tastebuds! 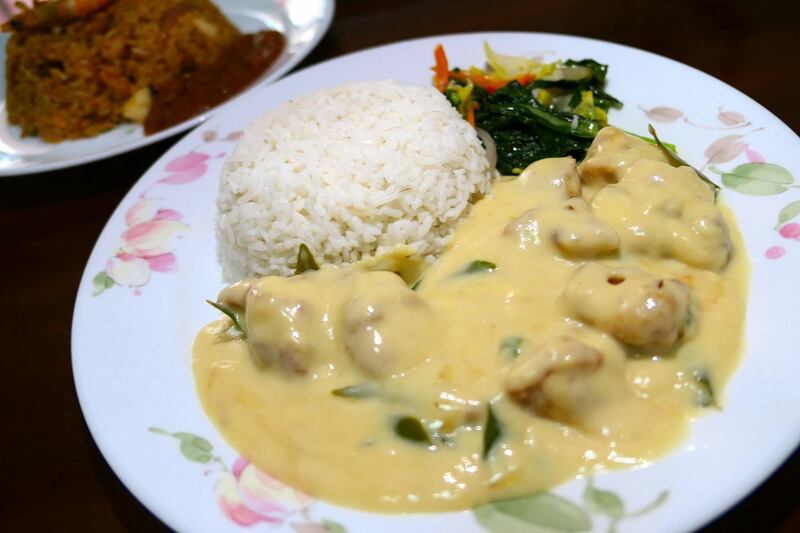 Creamy butter milk sauce is mixed with aromatic curry leaves with garlic and bird eye chillies then mixed with deep-fried battered chicken. 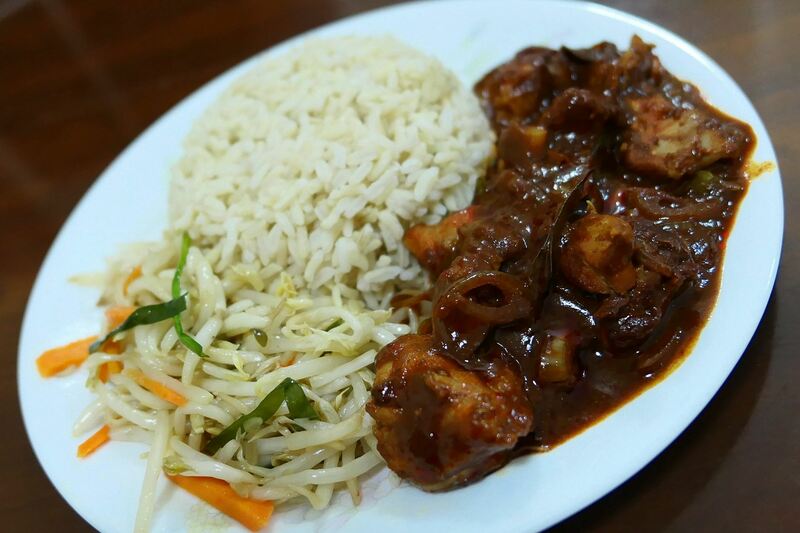 Served with choice of rice and vegetable of the day. I love butter chicken and they certainly weren’t stingy on the sauce. Moped up the balance of the creamy sauce with a hint of spice from the curry leaves with bread! Balado is a spicy and tangy chilli paste from West Sumatra. It consists of blended ground anchovies, tomatoes, green chillies and green bird eye chillies. 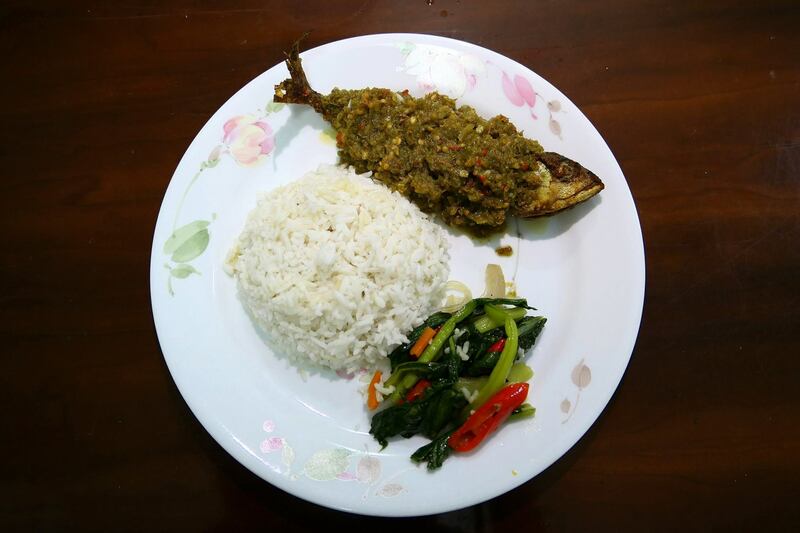 The balado paste is then topped on a deep fried fish and served with choice of rice and vegetable of the day. This was quite an appetising dish with lots of heat from the chillies together with piquancy from the green chillies, and the savoury anchovies. 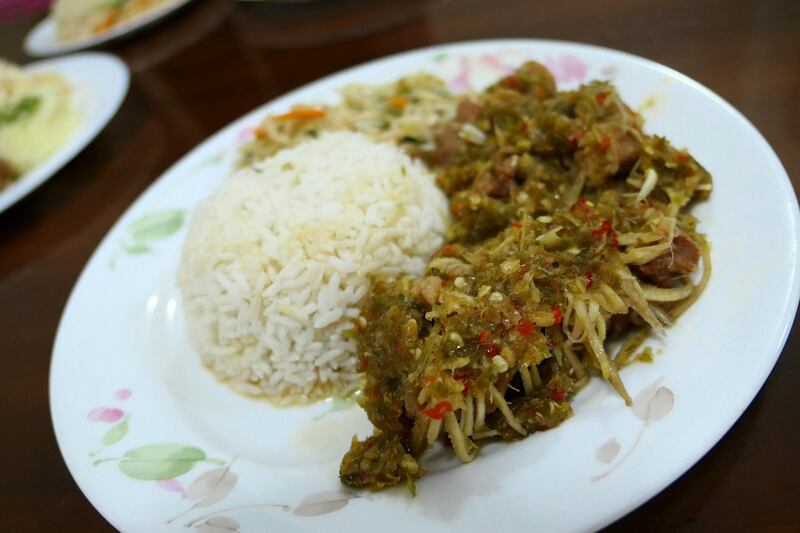 I’ve never tried this Indonesian dish before therefore it was something pretty new to me. 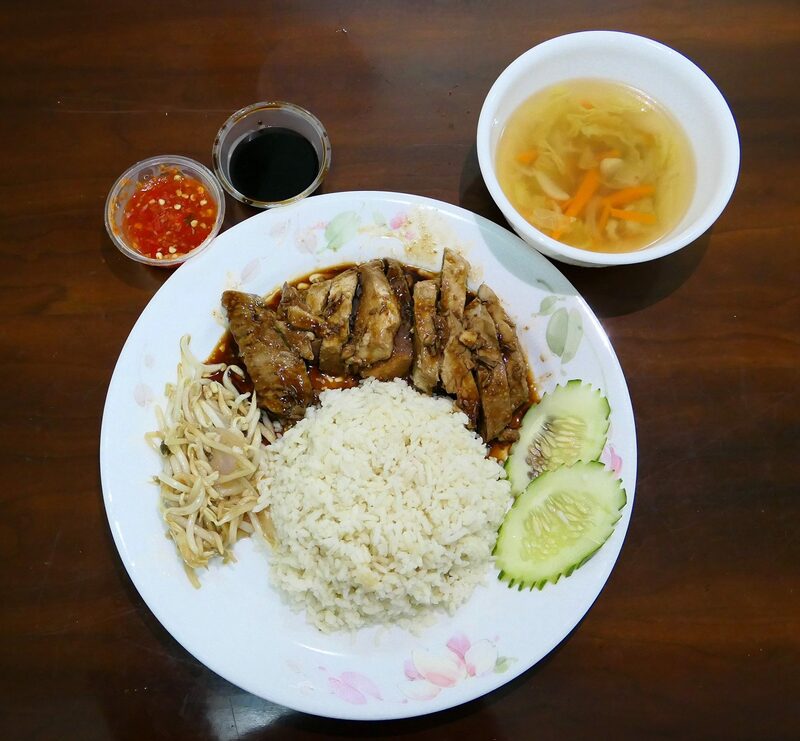 Hainanese chicken rice is a dish adapted from immigrants originally from Hainan, China. 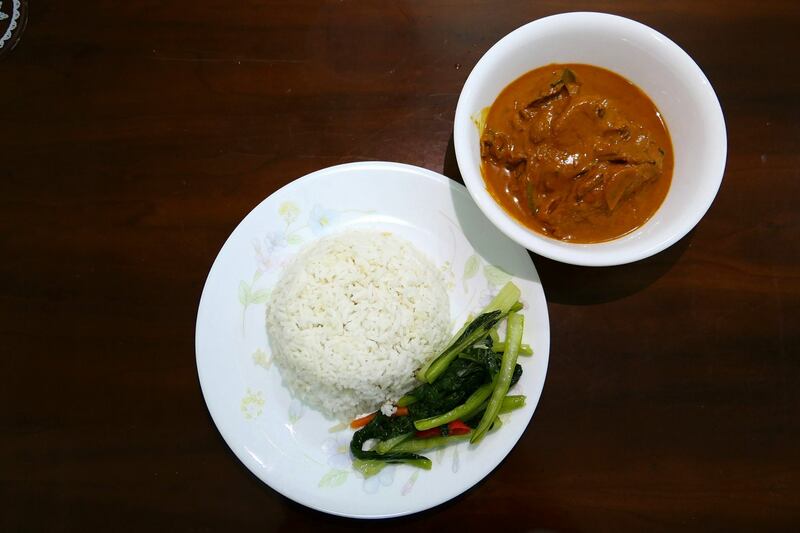 Its fragrant rice cooked in a ginger-garlic butter paste and the chicken boiled in a chicken broth served with chilli ginger sauce and special soy sauce. A very decent effort reproducing one of the iconic Chinese dishes. The star component here was the chilli ginger sauce which really provided a nice kick and added another dimension to the dish! 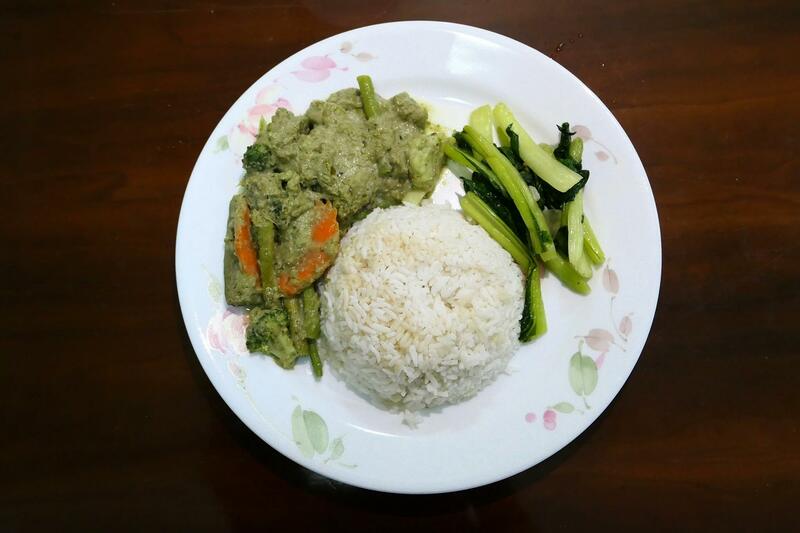 Spicy Thai-style green curry made with green curry paste consisting of green chillies, fresh coriander, galangal, shallot, garlic, lemongrass, kafir lime leaves, ground coriander, bell pepper, cumin, and turmeric with coconut milk. Beef (there’s also a chicken option), brinjal, potatoes and long beans are braised in the green curry. Served with rice and vegetable of the day. This is one of my all time favourite Thai dishes and I must say that this one didn’t disappoint. Would have loved more fragrant green curry though however it’s understandable as the size of the container is limited. A delicacy from Thailand. 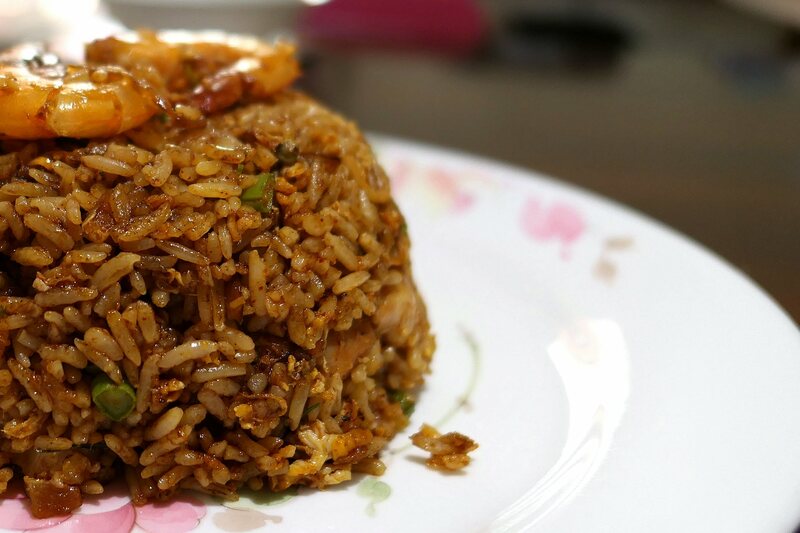 It’s a hot sour flavoured dish consisting of white rice tossed with local fresh and aromatic herbs and vegetables such as lemon grass, kaffir lime leaves, shallot, bird eye chillies, prawns, squid and traditional tom yam paste. 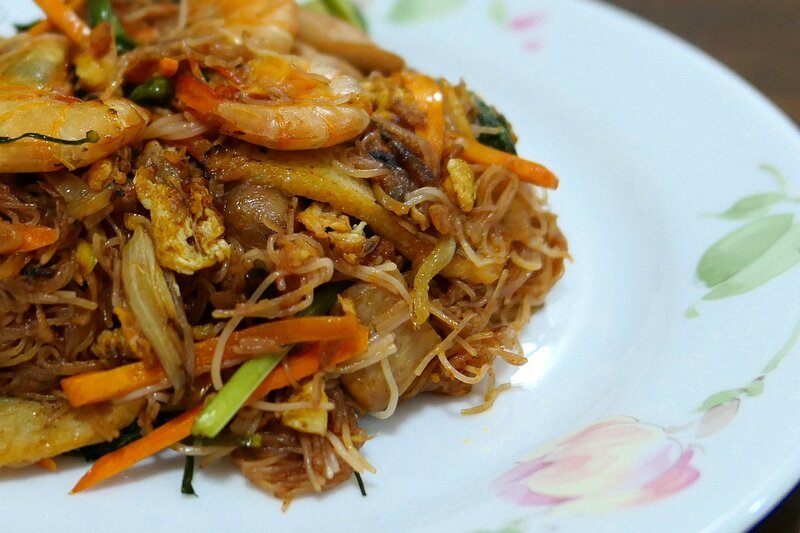 A very fragrant and flavourful dish! I think that the Thai dishes from Mammam are pretty decent! A simple stir fry rice vermicelli (Bee Hoon) with tom yam paste. This is famous for its light, sweet yet savoury and sourish taste. A pretty loaded Thai style tom yum fried mee hoon which was strangely addictive thanks to its mix of savoury and sour flavours! 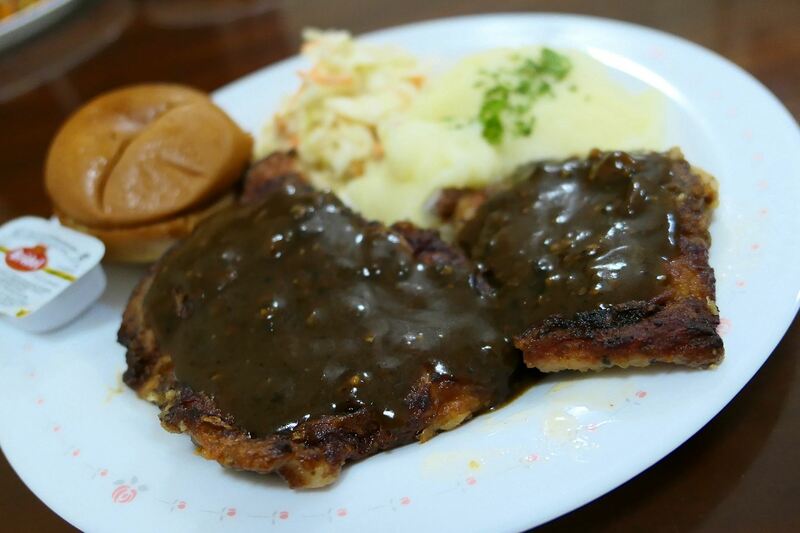 Grilled Chicken Thigh with Black pepper sauce served with mashed potato, coleslaw, bread and butter. I honestly wasn’t expecting much from this dish however I was pleasantly surprised with the flavourful black pepper sauce that really brought the whole dish together! A Chettinad (a region in South India) style of dry stir fry spicy chicken/Lamb. Cubes of chicken (there’s also a lamb option) are coated and stir fry in a curry masala mixture and fried till semi-dry. Served with rice and vegetable of the day. This dish was bursting with spicy flavours! Definitely one for those who like spicy food! Deep fried battered chicken slices are mixed together with a tangy Thai sauce tossed together with shredded raw mango, shallots, garlic and bird eye chillies. Served with rice and vegetable of the day. Tangy and spicy Thai flavours atop fried chicken. This was another very appetising dish! This was thoroughly enjoyable for a fried chicken lover like myself! 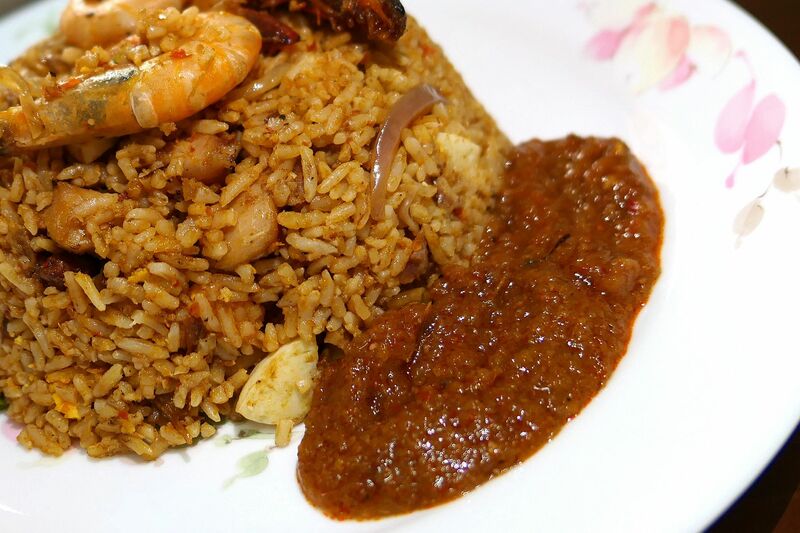 Went very well with the rice dishes like the Nasi Lemak Goreng and fried rice, with a whole lot of flavours courtesy of the spices! 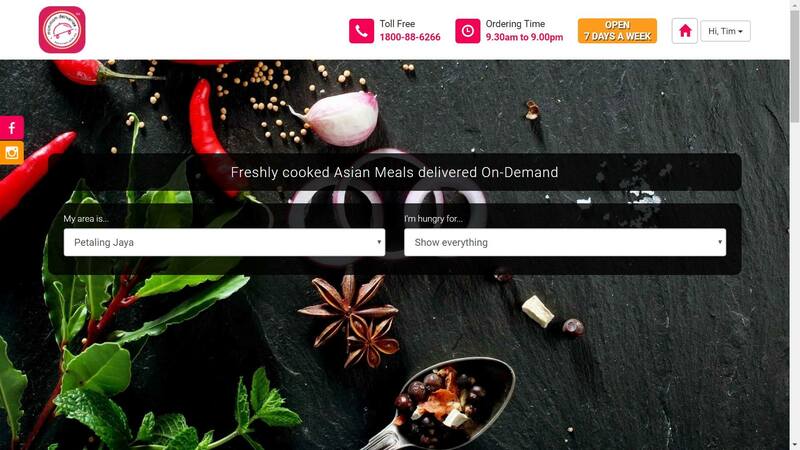 If you’re looking for a convenient delivery service, Mammam might be a good option to try! Kindly note that this is a sponsored advertorial however the writer has tried to maintain a high level of objectivity and non-bias.